SSI Logic corporate solutions include volume purchase options, group discounts, and branded trainer sites that we host and support for your students. Use our tools in combination with your training curriculum, or as a standalone course. Contact us for information on volume discounts and group rates. 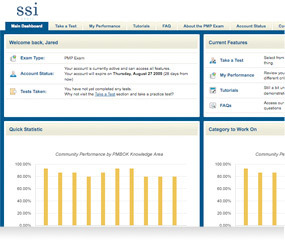 "Then CISSPExamPractice site was an excellent way to pin point the exact domains for improvement. It provides a section by section average. It also gives averages of the other CISSP takers which is also a motivating factor. " "Well, I passed. Thanks! " "The thing that made CISSPexampractice.com stand out is that it helps to train the mind to tackle questions in a more systematic way... and are not just questions that need to be memorized. The questions are real life and I could not find any other set of questions similar." 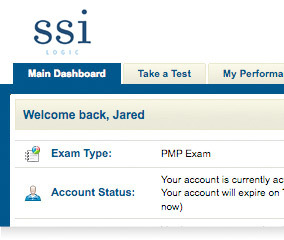 "I found the questions on CISSPExamPractice.com to be very challenging, and they definitely helped me shape my approach to taking the actual exam, which, I ended up passing! " "By far, these have been the best questions to study from and expand my knowledge even further. The cost of the questions are well worth the money spent. You will NOT regret this." 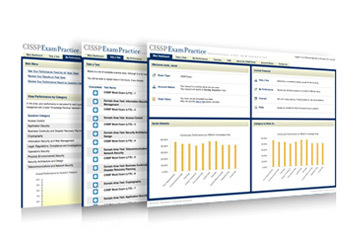 CISSPExamPractice offers its members the most realistic online CISSP Exam simulator available, coupled with exceptionally realistic CISSP practice questions developed by CISSP course trainers and experts.